If you are not familiar with the Detroit Design Festival, visit their Website today to see the amazing wealth of creative talent that will be on display next week in Detroit! 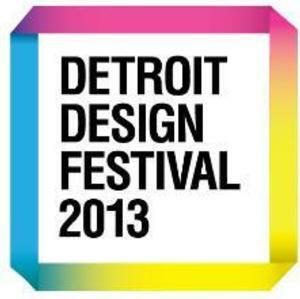 The Detroit Design Festival (“DDF”) will take place on Wednesday, September 19th - Sunday, September 23rd. 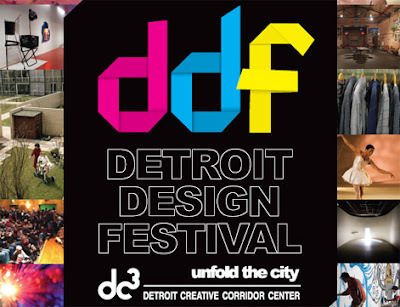 DDF is powered by Design in Detroit, an online platform that allows individuals and institutions across Southeast Michigan to engage, connect and partner with Detroit’s creative, entrepreneurial community to encourage social-economic change in the city of Detroit. Presented by the Detroit Creative Corridor Center (“DC3”), DDF is a community curated and supported design festival developed to showcase the talents and abilities of Detroit’s creative communities. Re:View Gallery artist Greg Fadell will be presenting “Paris of the West,” a four-story installation at the Willys Overland Lofts, in Midtown Detroit. “Paris of the West” is the first of a series of installations by gallery artists in “off-site” locations. It will be activated first on Saturday, September 22, with a live painting performance by Fadell starting at 8:00 pm, and it will be activated again on Friday, October 5, from 6 pm to midnight, in conjunction with Dlectricity and Detroit Gallery Week. The concept for the site-specific work is directly connected to the artist’s painting works. In the installation, Fadell evokes Detroit's historic connection with France, using this connection both practically and artistically to speak subliminally to anyone who is interested in the reconstruction of the city. "Paris of the West" appropriates the nickname given to Detroit because of its architecture and most notably the Paris like "spoke and wheel" grid that was used in planning the layout of downtown. The whitewashed windows reference Paris as well. The French use this same treatment on the windows of buildings in "transition" or under renovation. By bisecting the buildings facade along its center axis of windows with whitewash, Fadell is symbolically echoing Midtown as the arts center of Detroit and also representing a "midpoint" of Detroit's journey to revitalization. During the day time hours, the white column of windows will appear to be indicative of units that are under construction. At night, the windows will be illuminated from the inside with raw light, which will form a shaft of glowing white going straight through the middle of the building.